When choosing colors for your interior walls, it’s important to consider the mood each hue will evoke. Experienced interior decorators will tell you that each shade produces a unique effect. While some options on the color wheel are known for being cheery, brightening, or energizing, others can have a subdued, relaxing effect. The latter aligns precisely with the ambiance you should try to create in the bedroom, as it may support peaceful rest. Discover which colors have the most comforting impact below. Green may not be the first color to come to mind for a bedroom. Yet, interior decorators tout this hue for its ability to induce relaxation. In particular, pale shades such as sage green can be grounding and versatile. Pair your walls with gold or earth-colored accents to create a cohesive look. Like green, blue is associated with calmness. Just avoid the bold, primary shade of blue, which could have the opposite effect. Test swatches out in the morning, midday, and night to make sure you’ve found a shade that’s soft enough for your liking. Complement the hue with accessories in white, darker shades of blue, or green. This earthy neutral is perfect for making you feel at ease before nodding off. While you can add in virtually any color of your liking, consider this tip from interior decorators: use complementing natural tones such as green and brown to create a chic, cozy space. Bring in these inviting pops of color with throw pillows, blankets, curtains, and decor. 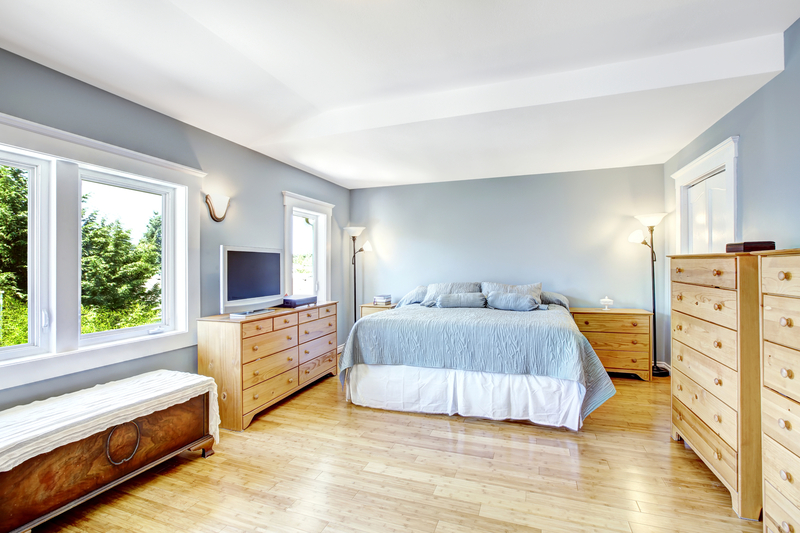 Whether you’re searching for paint and painting supplies to spruce up your bedroom or you’re an interior decorator in need of bulk items, St. Charles Decorating Center has everything you need to execute your next project with success. Located in O’Fallon, MO, this one-stop interior design center caters to both residential and commercial clients and has served the community for more than five decades. Learn more about their extensive inventory online, and call (636) 240-5220 to speak with a helpful associate.